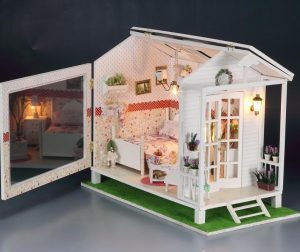 Tiny houses, or miniature houses, are not just an interesting concept but an entire movement. What exactly does this movement look like? What is a tiny house? People are taking a more minimalist stance when it comes to their living spaces, by actually reducing the size by 10 fold. There are no rules when it comes to the size of a tiny house, the actual size, shape and layout is entirely subjective and up to the buyer. There are a number of incentives or reasons to want to live in a tiny house. The first and most impactful is the environmental benefit or several environmental benefits for that matter. The amount of waste produced, energy used and even the amount of materials required to build, furnish and complete the house are significantly less than that of a standard home. Beyond saving mother Earth, there are financial benefits as well. Many people spend almost, if not more than half of their income, on their mortgage payments. It takes more than 15 years on average for people to pay off the value of their homes. Finally, an extension of the financial savings includes more money for travel, something many younger people are prioritising over expensive homes. In addition to these benefits, many tiny houses are custom built which means you get a say in every doorknob, every colour, the size, storage and layout of the house. This means that your home will be entirely yours from top to bottom, personalised and customised. This movement has seen the most popularity in North America, namely the United States, where there are television shows that are even dedicated to this fad. The movement is, however, worldwide. If it is something that interests you, make sure to consult a reputable developer to help see what all the hype is all about.